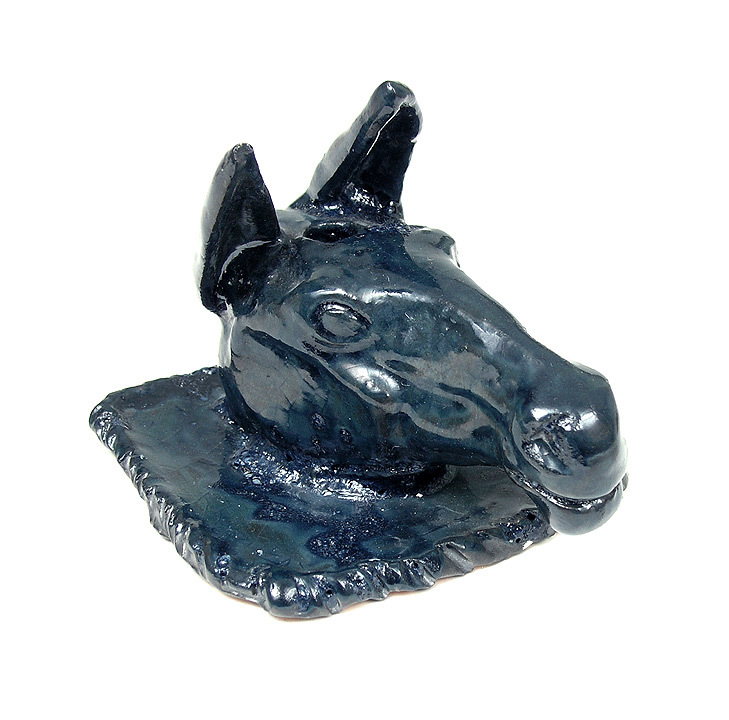 George Ohr had a great sense of humor, as evidenced in this playful object. There is a hole in the top of the horse's (donkey's?) head, about the size of a pencil. I guess that's what goes there, but perhaps it's an inkwell. Regardless, it's an outstanding whimsical item. 3¼" tall x 3½" square. Signed. Mint condition. 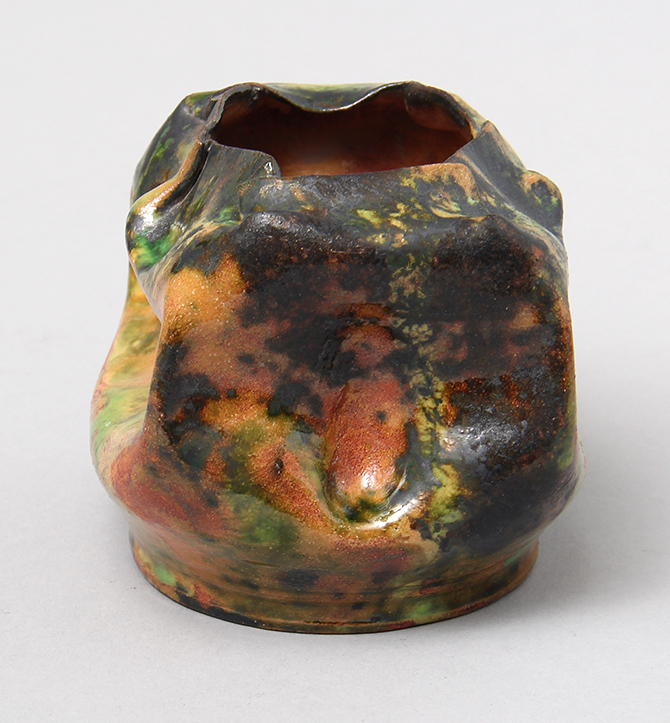 How was George Ohr able to fold clay to create masterful pieces? I don't know, but I do know this is a superb example of his ability. 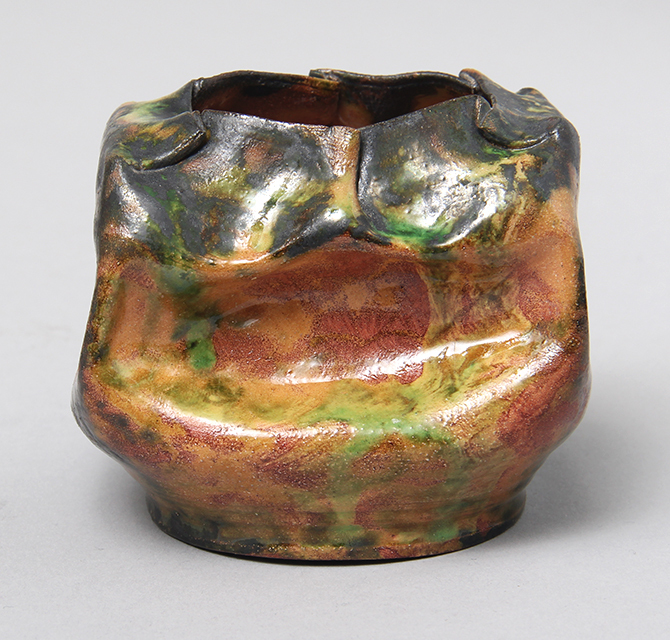 The vase has multiple folds on the rim and a beautiful glaze. 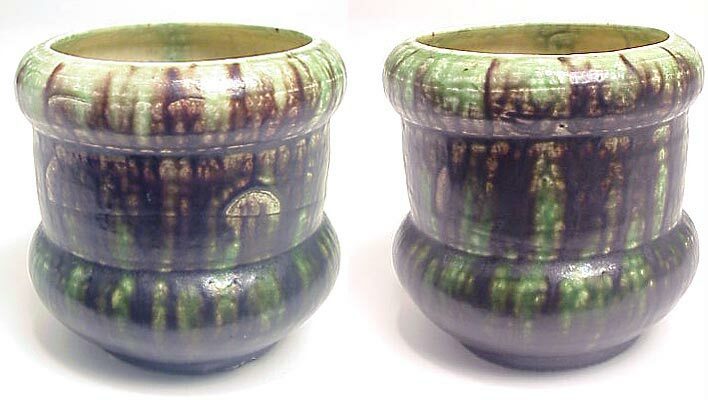 3½" long x 3" wide x 2¾" tall. Signed. Mint condition. 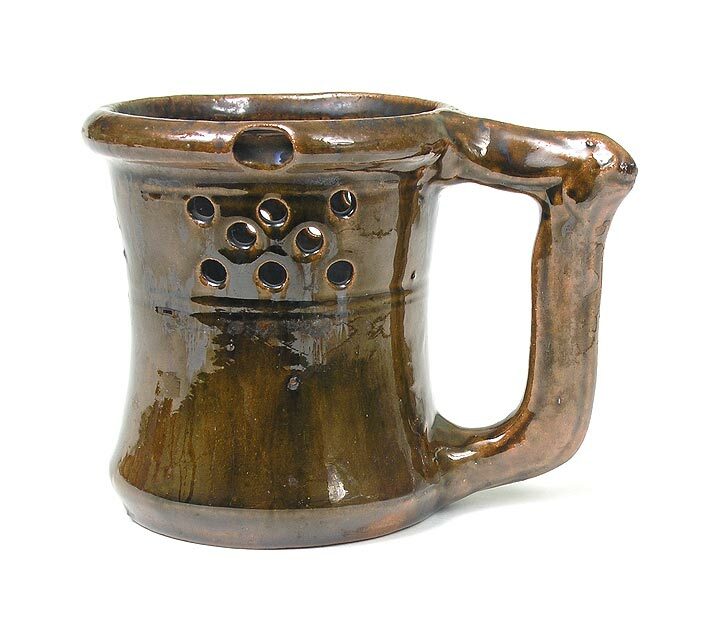 Wonderful high glaze puzzle mug in shades of brown and ochre. 3¾" tall. Signed. Mint condition. © 2019 Philip Chasen Antiques, Inc. All Rights Reserved.